Founded in 1729 and named after Lord Baltimore (aka Cecilius Calvert), the city began as a thriving port and quickly grew into an industrial powerhouse. Ensuing decades brought ups and downs, but recent years have seen the Mid-Atlantic city transform into a fascinating mix of old and new. A stroll through the neighborhoods feels like a walk through time, with 18th-century taverns on cobblestone streets and Gilded Age mansions giving way to modern towers of glass and steel. Yes, gritty pockets exist, but revitalized waterfront zones, lore-rich historic sections and down-to-earth enclaves in between provide a more comprehensive picture. With photogenic waterfront paths and a plethora of parks, spring and fall are lovely times to take in all that Charm City has to offer. Summer hits the height of activity with plenty to see and do. Winter brings frigid temperatures and snow, but fewer crowds plus ice-skating at the Inner Harbor and a “miraculous” holiday light display in Hampden. An aristocrat may have planted the seed from which “Bawlmer” grew, but Baltimore has since sprouted more down-to-earth roots. The fruit of this urban expansion? A friendly, laid-back vibe and a quirky spirit, famously captured by filmmaker and native, John Waters. The unofficial mascot could be the “hon,” a retro, blue-collar gal decked out in beehive and cat’s eye glasses calling everyone the term of endearment for which she’s named. Thanks to author residents like Edgar Allan Poe, H.L. Mencken and Tom Clancy, Baltimoreans are a literary bunch, too. Far from bookish, however, locals like to have fun, often in unconventional ways. Travelers shouldn’t be surprised if a visit coincides with streets full of wacky sculptures on wheels (Kinetic Sculpture Race) or a harbor full of “pirates” (Privateer Festival). With more public tributes per capita than any other municipality in the United States, “monumental city” makes a worthy destination for history buffs. After all, this is the site of the first Washington Monument (whose cornerstone was laid decades before that of D.C.’s) and where Francis Scott Key penned the lyrics to “The Star-Spangled Banner.” It’s also a sports-obsessed town, with two top pro teams—MLB’s Orioles and NFL’s Ravens—inspiring die-hard devotion across the city. At the Inner Harbor, visitors delight in (and even touch!) marine life inside the National Aquarium and climb aboard historic ships. Art lovers admire what is considered to be the largest assemblage of Henri Matisse in the world at the Baltimore Museum of Art and wonder at eye-opening “outsider” art like no other at the American Visionary Art Museum. And of course, foodies savor the quintessential experience—cracking steamed crabs with local beers while overlooking harbor views. Many visitors start their exploration at the Inner Harbor, a waterfront zone bustling with attractions, familiar restaurants and shops. To the east, lively taverns and storefronts full of local color line Thames Street in Fells Point, once home to abolitionist Frederick Douglass, while the scent of Old World cooking tempts taste buds in Little Italy. North of downtown, leafy Mount Vernon draws visitors with lovely 19th-century architecture, fine restaurants and many cultural institutions. 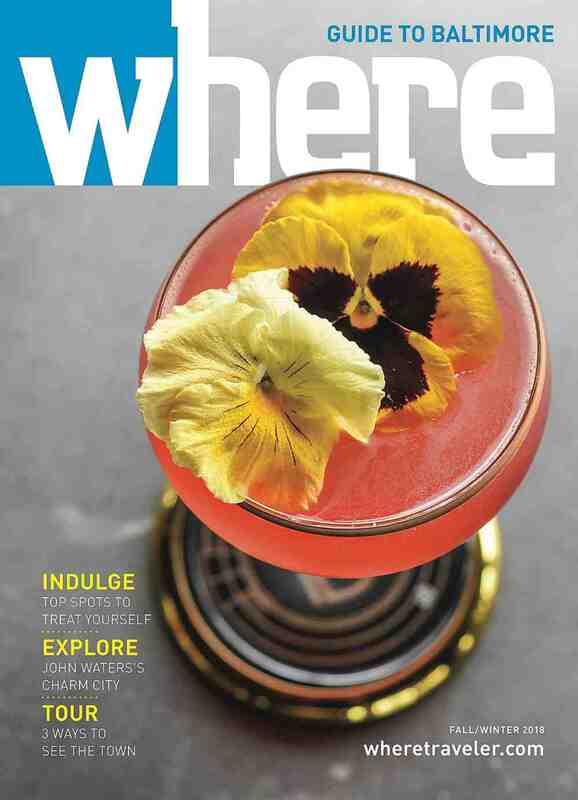 Farther north, pink plastic lawn flamingoes signal Hampden, where indie boutiques and buzz-worthy restaurants entice hipsters and seasoned travelers alike. 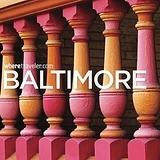 Check out our Baltimore publications!